1. Where are you currently working - what have you been doing since completing the 12 Week Certificate Course? 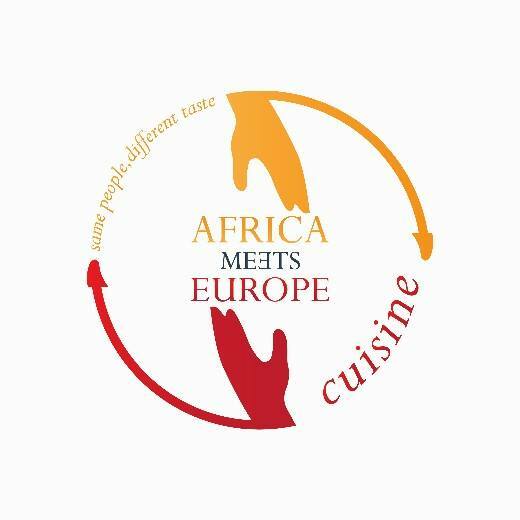 I am currently based in Johannesburg running my business, ‘Africa Meets Europe Cuisine’ (www.africameetseurope.com). I have taken to blogging and do weekly blogs on my website www.africameetseurope.com/blog currently with the topics ‘South Africa- Encompassing and Surrounding’ as well as ‘Summer Plates’. I also write for The Mercury newspaper (monthly food article called Flavour Fusion). I work closely with small-scale farmers, especially women and the youth in food and farming, promoting their produce and getting Southern African cuisine out there. I also do this through my annual event called ‘Mzansi International Culinary Festival’. 2. When you finished the Ballymaloe 12 Week Certificate Course, what was the next step? I worked at the Ballymaloe House for a few weeks then went to England on a food exploration of places like the Borough Market, Brixton Village cafes and restaurants, Yalbury Cottage and River Cottage Canteen in Axminster. I then went to New York and spent time in Manhattan, Brooklyn and Harlem food scenes. I attended many food events and went apple picking as well. I also travelled to Washington and Boston where I was hosted by a Senegalese female chef where I hosted a South African dinner and ate my way through the city. 3. What would you say were the key benefits or areas of influence the 12 week course had on your decision to become a chef? The importance of working with your farmers. My skills were deeply sharpened as a chef, going fishing, making my own cheese after milking the cow! The experience was 360 degrees. This was further cemented when I spent time at the Ballymaloe House for example seeing how the head chef gets a whole lamb, debones it and cooks the different cuts accordingly. The game prepared in season, it was just awesome. 4. What have been the highlights and challenges? The biggest highlight has been getting my ‘Mzansi International Culinary Festival’ off the ground. Connecting with female chefs around Africa and the world. It has been running for the past 3 years now and every year it grows bigger, it’s phenomenal. It’s great to be learning so much about the African continent, the different countries, the produce, the people and other parts of the world. It is an enriching experience. The challenge is getting our African food and farmers recognised and supported both domestically and internationally, there is so much to show the future is bright. 5. Who inspired to become a chef? I grew up in family of great cooks so preparing meals was always a bit daunting and had to take criticism. My dad’s cooking has stayed with me to date and I guess the way he opened me up to traditional African and world flavours. From a very young age, he led me to professional kitchens. He left home as a young man and found his way to a job as a cook on the ships. He travelled the world cooking and brought us up to this. Having said that my grandmother owned a café in Pietermaritzburg cooking for the courts clergy in Howick in her hay days. Essentially I grew up around good food! 6. What are your plans for the coming year? 2016 is the year I would like to realise a formal establishment where young chefs will train as cooks tightly linked with the farm to fork ethos. I currently do this on a smaller scale now. Chefs have not taken to sourcing from small scale farmers well in South Africa. 7. Any advice for anyone considering doing the 12 Week Certificate Course? It’s the best things anyone can do for themselves, you learn, you grow and come out more equipped to make that change which is needed in the world. Just get there and immerse yourself in everything, have fun, Ireland is amazing. The whole food and life experience is invaluable.